We can help you keep your pet! Catnip Trails is NOT a shelter; we do not take in lost, stray, or owner surrendered pets. At Catnip Trails, we believe that pets are family members for life and we'd like to help you keep your pet at home, and out of the shelter system. Many people don't realize there are several resources available to help you - from low-cost vetting, and free pet food, to behavior specialists, all working together to try to reduce the number of pets that enter our shelters every year. 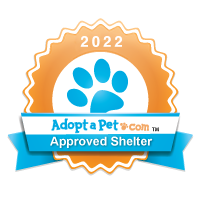 At Catnip Trails, we will try to help you resolve any issue with your pet, and/or help you find a no-kill rescue, and/or help you rehome your pet without involving your local animal control facility. The harsh reality is that 6 out of every 10 dogs and 7 out of every 10 cats found in shelters will not find a home in time, and will be put down. That equates to 3 to 4 million pets killed annually in the United States. Surrendering your pet to a municipal shelter, or animal control could make him/her part of the above statistics. Please check our Resources page for links to organizations that may be able to help you keep your pet from becoming another statistic. In Loving Memory of our Friend & Neighbor, KC Lee. KC helped us save Dixie from a high kill shelter in Miami, and adopted her for life. Dixie needs some medical care, and is getting LOTS of TLC right now. If you would like to donate to Dixie in KC's name, please use our Paypal account: jga@paypal.com and be sure to leave your name, and Dixie's name in the notes. Thank you for your support!